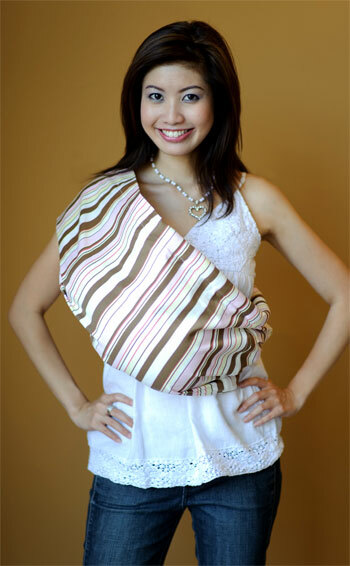 Babywearing trends have ebbed and flowed throughout the years and there is one carrier that has fallen out of style that I believe we need to bring back: The Pouch! 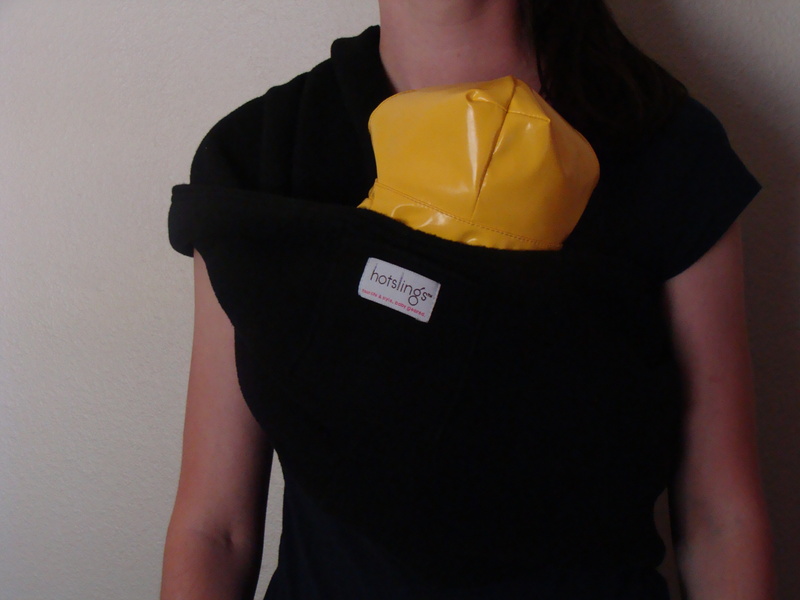 A pouch carrier may be the single most easy baby carrier available to use…of all time…in forever. Got that? It’s so simple! Anyone can use a pouch! So what is a pouch? 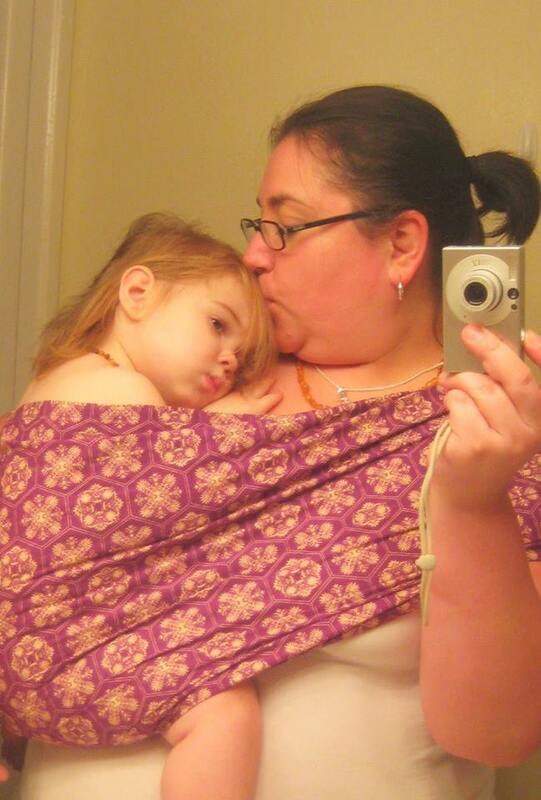 According to Babywearing International‘s definition: Pouch or pouch sling is a more-or-less rectangular piece of cloth sewn into a closed loop, used as a baby carrier by wearing the loop around the body, generally from shoulder to hip, and usually folded in half lengthwise so as to form a pocket or pouch for carrying the baby. Typically has a curved seam which forms a more secure seat for the baby. Sometimes known as a “tube sling”. 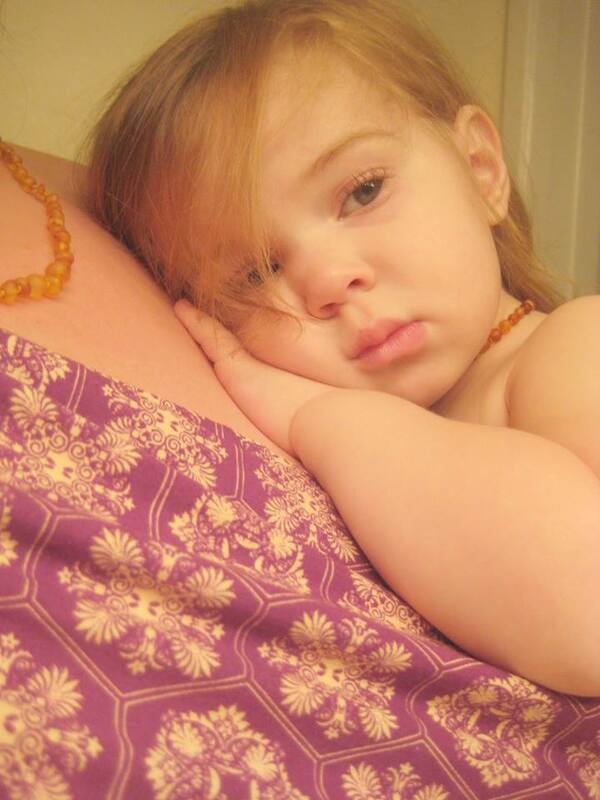 Skin to skin contact with a feverish tot. Sounds easy, right? So how does one use a pouch? The pouch gets folded in half with the “pocket” facing upward. The pouch goes over one shoulder and the seam hits around your belly button. When putting a baby or toddler in the pouch in the heart to heart or tummy to tummy position, you want the seam in line with baby’s bottom. Next you take your baby and have him face you and put him on your opposite shoulder. You then slide baby in between you and the pouch. Pull the top rail all the way up to the top of baby’s back or the base of the neck. Securely hold baby with one hand. With the other hand take your bottom rail and pull that up between baby’s legs creating a pocket for baby to sit in. The bottom rail should be pulled up securely–all the way to baby’s belly bottom. This will move baby’s knees higher than his bum and make a nice secure seat. If your top rail feels too loose you can take the fabric that’s on the inside rail on your shoulder and flip it down your shoulder making a cap. Pouch is too big–there’s extra fabric on the left side of the photo. Kathy and her sick toddler have a great fit without flipping the shoulder so she spread the fabric across her shoulder. Because fit is so important with a pouch carrier please take your measurements before buying a pouch. Most pouches available have a size guide that require the wearer to take measurements. This is very important to do. Then do again to check to ensure your measurements were accurate the first time. If you chose to nurse baby in the cradle hold, it is recommended to pop baby upright into the tummy to tummy position once finished nursing. This will prevent baby from putting his chin or his chest or falling into the dangerous “C” position. T – Tight: The importance of a sling or carrier being tight is to hold a baby safely against the wearer, it supports the spine in a straight-upright position and stops baby from falling out of the wrap or carrier accidentally. I – In view at all times: Seeing your baby at all times allows you to be constantly monitoring your child’s breathing and general demeanor, you will have the ability to make sure the chin has not dropped and they are happy. You will also be able to check temperature and feeding cues. C – Close enough to kiss: This is greatly important also, as the lower the child the less you will be able to tell about your child, placed in an upright position you should be able to lower your head and kiss the top of babies head, if you are unable to do this, then it’s advised your re-position your child higher. K – Keep chin off chest: if your child is tight, in an upright position and spine is curved with legs in the squat position the likelihood of the chin dropping is unlikely, this is the most optimum position for safety, development and comfort. The rule of thumb is a child should have a gap of roughly 2 fingers width underneath their chin. S – Supported back: the tightness of any carrier will be crucial in the support of a babies spine, it’s also important not to over tighten. The carrier should be tight enough to keep the child against the parents body without a gap, but still have the ability to slide your hands into the carrier with ease if needed. Generally in an upright position, if the carrier is adequately supporting the spine the chin will not drop, but it’s important to follow all the steps carefully. Here’s a great pouch video from Babywearing Faith‘s YouTube Channel. 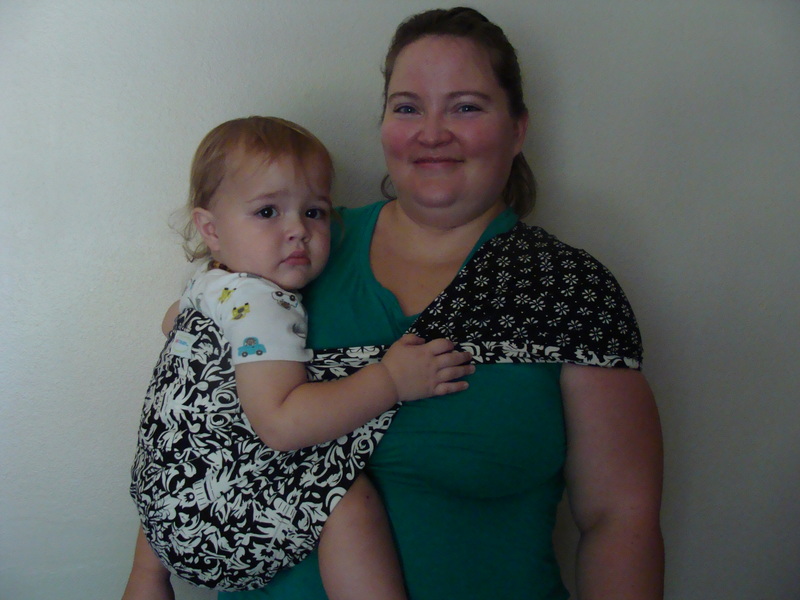 If you still cannot seem to get the hang of your pouch then please come to a Babywearing International of Central Iowa meeting to get in person assistance from a Volunteer Babywearing Educator.